Трішки інформації щодо 28- го Міжнародного конгресу індивідуальної психології, який відбудеться влітку 2020 році у м. Львові. According to the deputy director of Lviv Convention Bureau Andriy Pavliv, this global event is organized by the International Association of Individual Psychology and has been held for almost 80 years. The previous Congress took place in Minneapolis (USA) in 2017, and in 2020 it will be hosted in Ukraine (Lviv) for the first time. The event will last for 4-5 days. «Lviv has strong and active professional environment in the areas of psychoanalysis and psychotherapy. In fact, it became one of the key prerequisites for choosing it as a destination for the Congress. And our city will receive a double reward – the development of the professional environment, through the experience exchange, and the international promotion of Lviv,» Andriy Pavliv says. The event was initiated in the city by the Ukrainian Union of Psychotherapists, in particular by its President and Lviv Honorary Ambassador Olexandr Filts, as well as Zoryana Koshulynska, the head of the individual psychology direction of the Union. «Except for Lviv, the contender for the Congress in 2020 was the city of Toronto, Canada. The finalist was selected by voting among the countries participating in the 27th Congress, which was held in the United States. It is about 26 countries,» Zoryana Koshulynska told. An important role in making a positive decision on Lviv was played by the announced support of Lviv City Council. According to the deputy director of Lviv Convention Bureau Andriy Pavliv, this global event is organized by the International Association of Individual Psychology, and has been held for almost 80 years. The previous congress took place in Minneapolis (USA) in 2017, and in 2020 it will be hosted in Ukraine (Lviv) for the first time. The event will last for 4-5 days. «Except for Lviv, the contender for the Congress in 2020 was the city of Toronto, Canada. The finalist was selected by voting among the countries participating in the 27th Congress, which was held in the United States. It is about 26 countries, » Zoryana Koshulynska told. The International Association of Individual Psychology was created to bring together organizations that practice individual psychology in all over the world, and to establish a congress for international dialogue and cooperation in the field. The first Congress of the Association took place in 1939. Since the 2000s, the event has taken place in the USA, France, Austria, Lithuania, Italy and Germany. The next Congress will be held in Ukraine for the first time. Влітку 2020 року Львів вперше прийме Міжнародний конгрес індивідуальної психології. Кожні 3 роки подія збирає близько 500 фахівців з усього світу, щоразу – в іншій країні, для обміну досвідом та обговорення важливих питань розвитку сфери. Організовує захід Міжнародна асоціація індивідуальної психології.Як розповідає заступник директора ЛКП «Львівське конференц-бюро» Андрій Павлів, цю світову подію проводять ось уже майже 80 років. Попередній конгрес відбувся у Міннеаполісі (США) у 2017 році, а в 2020 вперше завітає в Україну – до Львова. Триватиме він 4-5 днів. «Львів має досить сильне та активне професійне середовище у сферах психоаналізу та психотерапії. І, власне, це стало однією з основних передумов обрання його як місця проведення конгресу, – зазначає Андрій Павлів. – Завдяки події такого рівня, наше місто отримає подвійну вигоду, адже це і розвиток професійного середовища шляхом обміну досвідом з фахівцями світового рівня, і міжнародна промоція Львова».Проведення заходу у Львові було ініційовано Українською спілкою психотерапевтів (УСП) – президентом спілки і Почесним Амбасадором Львова Олександром Фільцом та керівником напряму індивідуальної психології за Альфредом Адлером УСП – Зоряною Кошулинською. «Окрім Львова, претендентом на проведення конгресу 2020 року було місто Торонто, Канада. Вибір фіналіста проводили шляхом голосування серед країн-учасниць 27-го Світового Конгресу, який у 2017 році проходив у США. А це – 26 країн світу», – розповіла Зоряна Кошулинська. Важливу роль у прийнятті позитивного рішення щодо Львова відіграла також заявлена підтримка Львівської міської ради. Міжнародна асоціація індивідуальної психології (International Association of individual Psychology) була створена для об'єднання організацій з усього світу, що практикують індивідуальну психологію, та започаткування конгресу для міжнародного діалогу й співпраці у сфері. Перший Конгрес Асоціації відбувся у 1939 році. З 2000-х років подія відбувалась у США, Франції, Австрії, Литві, Італії та Німеччині. Наступний конгрес вперше відбудеться в Україні. Більше про Асоціацію та подію – тут: http://www.iaipwebsite.org/. 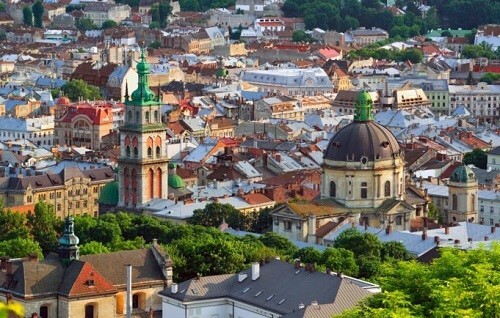 In the summer of 2020, Lviv will host the International Congress of Individual Psychology for the first time. Every 3 years, each time in another country, the event gathers about 500 professionals from all around the world, in order to share experiences and discuss important issues in the field. The Congress is organized by the International Association of Individual Psychology.According to the deputy director of Lviv Convention Bureau Andriy Pavliv, this global event has been held for almost 80 years. The previous congress took place in Minneapolis (USA) in 2017, and in 2020 it will be hosted in Ukraine (Lviv) for the first time. The event will last for 4-5 days.«Lviv has strong and active professional environment in the areas of psychoanalysis and psychotherapy. In fact, it became one of the key prerequisites for choosing it as a destination for the congress. And our city will receive a double reward – the development of the professional environment, through the experience exchange, and the international promotion of Lviv,» Andriy Pavliv says.The event was initiated in the city by the Ukrainian Union of Psychotherapists, in particular by its President and Lviv Honorary Ambassador Olexandr Filts, as well as Zoryana Koshulynska, the head of the individual psychology direction of the Union.«Except for Lviv, the contender for the Congress in 2020 was the city of Toronto, Canada. The finalist was selected by voting among the countries participating in the 27th Congress, which was held in the United States. It is about 26 countries, » Zoryana Koshulynska told.An important role in making a positive decision on Lviv was played by the announced support of Lviv City Council. ***The International Association of Individual Psychology was created to bring together organizations that practice individual psychology in all over the world, and to establish a congress for international dialogue and cooperation in the field.The first Congress of the Association took place in 1939. Since the 2000s, the event has taken place in the USA, France, Austria, Lithuania, Italy and Germany. The next Congress will be held in Ukraine for the first time.